Do you need extra help for EL students? Try the Vocabulary Focus pre-lesson. Students will be able to figure out the meaning of unknown words using various strategies and clues. Ask, “What do you do when you’re reading and come across a word that you don’t know?” Write a few answers on the board. Beginning: Pre-teach strategies to understand unknown words in sets of mini-lessons prior to the lesson. Intermediate: Provide students with a copy of the Read the Word Clues worksheet prior to the lesson and use a simplified text to explicitly cover and explain each strategy. Read aloud a page of a book to the class. Choose one word that you will work on figuring out the meaning of. Where did the word come from? Think about prefixes, suffixes, and root words. What would make sense? Use context cues. Check in with your senses: Is the mystery word a sensory word? Homophones & Homographs: Does the word sound like another word you’ve heard before? Synonyms and antonyms: Do you know another word with a similar or opposite meaning? Compound word: Is the word made up of smaller words? Use the strategies that are most relevant to the unknown word you selected to figure out the meaning of the word. 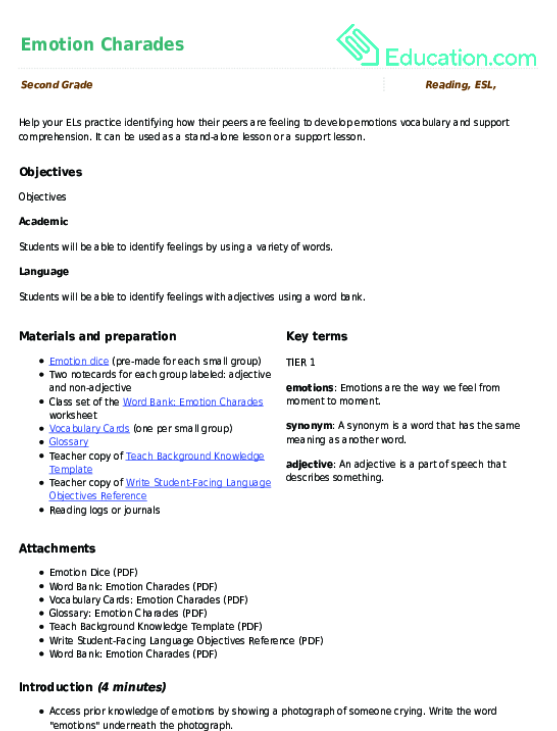 Beginning: Provide students with the vocabulary word that will be chosen, and a connecting visual, prior to the lesson. Intermediate: Review important vocabulary words with students prior to the lesson and provide a word bank and visuals to support understanding of strategies. Have students work with a partner to find a book. Have partners locate a word that they are not sure of the meaning of and use one of the strategies you identified. Ask pairs to share their sentence, word, strategy, and the word’s meaning. Allow student to work in a teacher-led small group, reading the text aloud with support from the teacher. Allow students to work in a teacher-led small group, reading the text aloud with support from the teacher. 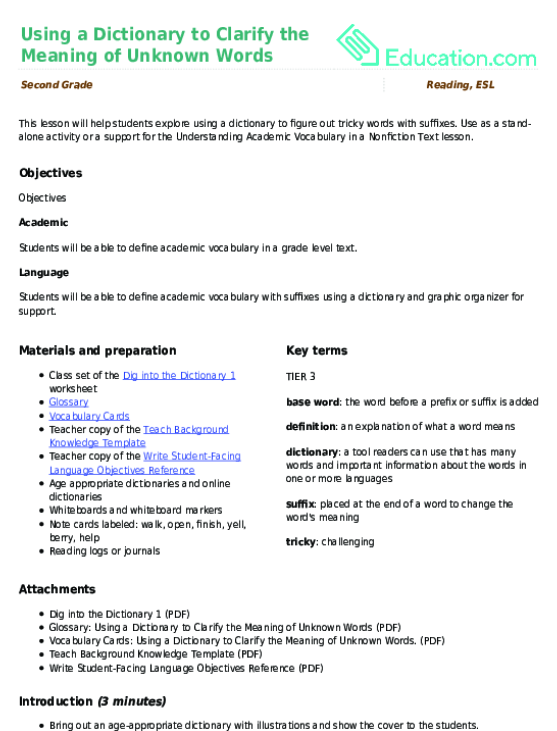 Give students access to resources in their home language (L1) including bilingual dictionaries, book, and glossaries. Have students select a book at their reading level. As they read, have students complete the Read the Word Clues worksheet as they identify and figure out the meaning of unknown words. Have students complete the Prefix, Suffix, Make Sense of It worksheet when they finish reading. 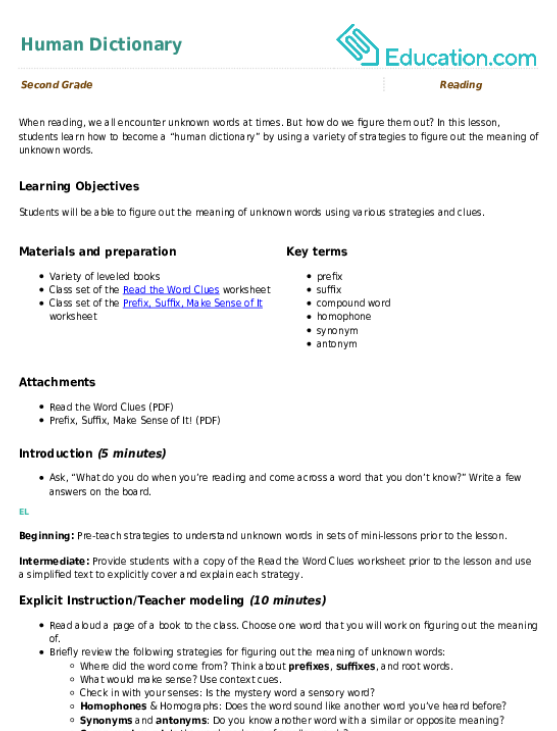 Provide a simplified text and allow student to read aloud to a teacher. 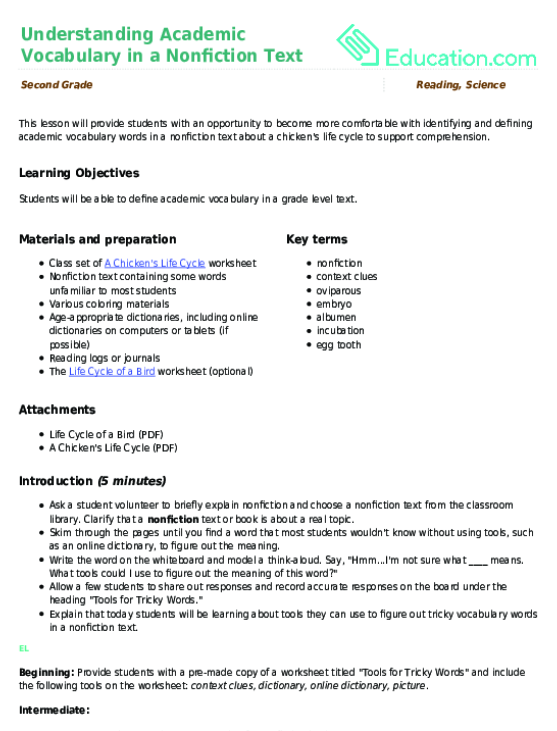 Guide and support student in filling out the context clues worksheet. 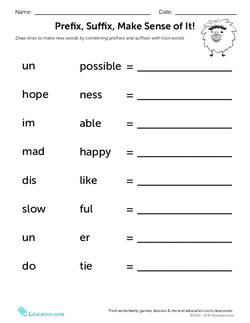 Provide student with the Prefix, Suffix, Make Sense of It worksheet partially filled out. Intermediate: Allow student to work with a partner and provide a simplified text for the student to refer to. Support: Highlight the words that students should work to figure out the meaning of. Enrichment: Have students check their definitions in a dictionary and make their own glossary featuring the words that they encountered. My sister just bought a very unique dollhouse. What's the purpose of wearing a helment? Can you please disable the fire alarm? Give the students a few minutes to figure out the unknown words, using one of the strategies they learned today. Call on a few students to explain how they figured out what the unknown word meant and what strategy they thought was the most helpful. 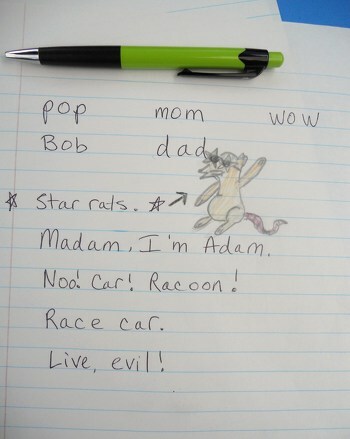 Provide student with a visual representation of the strategies discussed to paste in a reading log or journal. Provide visuals that connect to each of the unknown words and allow students to share the meaning of the word in English and their L1. 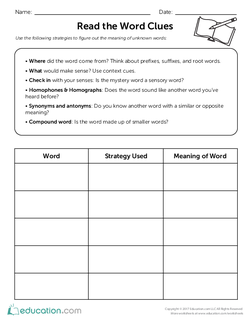 Encourage the student to create visuals of the strategies that will spark understanding in the future and draw them on the Read the Word Clues worksheet. The strategy I used was ____. I found the strategy helpful because ____. The word ____ means ____. Have students share some of the words and definitions that they worked with during independent work time. One strategy I can use is ____ which means ____. I can use ____ to figure out ____. A new word I learned was ____. A sentence that includes my new word is: ____. Kids will sharpen their dictionary skills with this challenging guide words sort. Students will pair up and take turns responding to questions about difficult words they've encountered and what they learned by using context clues and a dictionary.